Admit it. Tennis bags are cool. When you first started playing, you knew who the coolest players were by their tennis bag. No bag...not cool. Small bag...not so cool. Bigger bag...cool. Brand name emblazoned across a bag...very cool. Of course by now, you know it’s not all about the bag. It’s also how much stuff fits in the bag that counts. Need a sweatband?. Water? Second racquet? It’s in the bag. You have to be able to find whatever you need quickly, too. Fiddling around in a bag costs you cool points. Your tennis credibility is at stake if you can’t grab what you need with barely a glance. So you need the right sized bag with the right amount of compartments that are organized in just the right manner. A name brand across the bag would be neat, too. Read on for some tips and suggestions on how to find the best tennis bag. Of course it matters, but bigger is not necessarily better. If you only own one or two racquets, there is no reason to buy a bag built for six or nine. Your bag should not be bulging at the seams, but it should not look empty, either. Manufacturers design bags for all types of players. 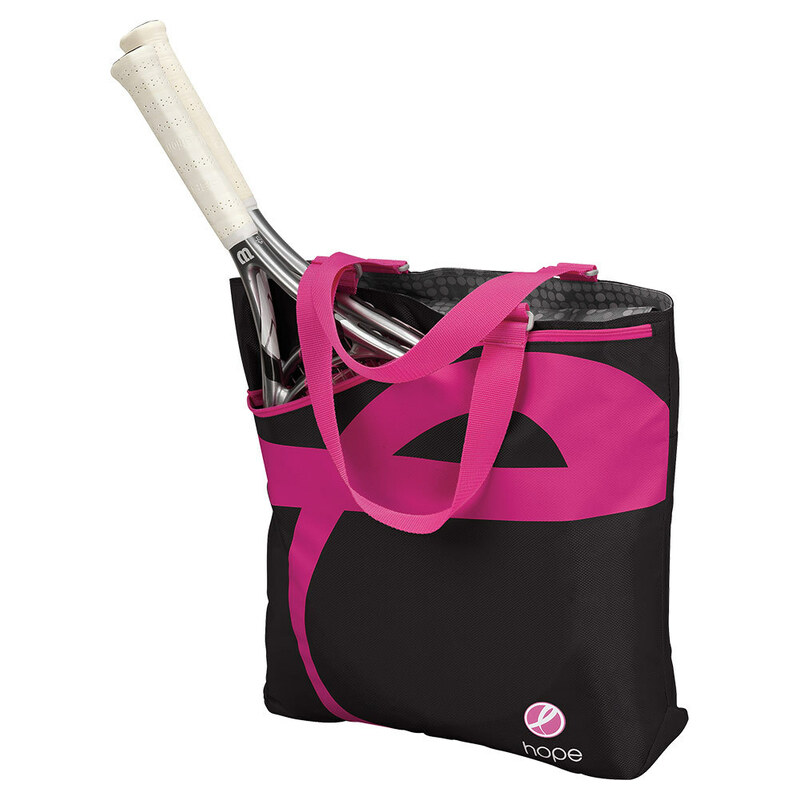 The basic style bag can carry anywhere from three to 15 racquets. Some offer better protection from outside elements and from elements inside the bag. Compartments are made with specific items in mind. You should have an idea of what you want to carry to the courts so you can visualize where each item will fit before you make a purchase. Make a list of what you use during a typical or atypical tennis practice or match. Also make a list of things you would have used if you had them with you. What Kind of Bag Works best? Many players are surprised at the variety of styles and variations in tennis bags. Which one works best for you is largely a personal preference. Still, there are some general tips to consider. There are articles out there that will emphasize fashion and attractiveness. This is a more practical article. Also, if you are a sponsored player, you probably have to have a branded bag that matches your racquet. There is no such rule for the rest of us. Here is an explanation of various types of bags and their advantages. These bags are basically tournament bags with wheels attached. If you tend to travel with your bag or if you park a good distance from the courts, then you might consider a bag with wheels. These bags are the largest variety, so it may be a bit much for the casual player. Besides, if you’re in good enough shape to play tennis, you can probably skip the wheels. Also called a shoulder bag or racquet holder, this is the most common bag on the market. They come in a variety of sizes, colors and styles. Men’s bags are larger than women’s to accommodate wider shoes, heavier equipment and extra balls for men's tournaments (which are typically longer than women’s tournaments). When buying a tournament bag, you want to be sure it has a padded shoulder strap so you can carry it comfortably. Lighter materials like polyester or nylon are desirable for the same reason. A backpack is preferred by some players who walk to and from practice. The two-straps provide a more comfortable and ergonomically-correct method of carrying things. After all, you don’t want to have a sore back before you even begin to play! Backpacks usually carry only one or two racquets and have side compartments for tennis ball cans or water bottles. Shoulder totes are similar to backpacks except that they have only one strap. They are small and will not hold many racquets or accessories. 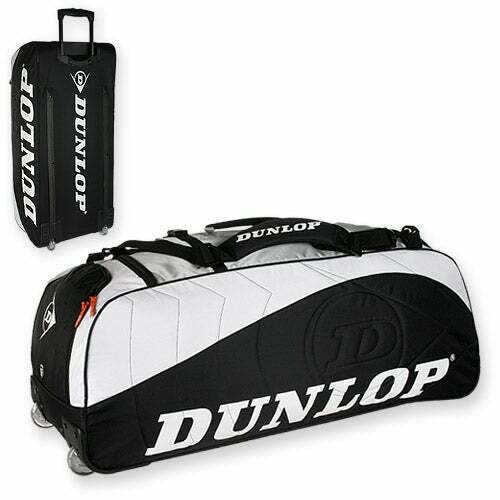 Duffel bags are sturdier and can carry a lot of bulk items, but they are not really made to carry tennis racquets. There are a couple of fashion companies that make tennis tote bags. These look like reusable shopping bags, but they have compartments for one or two racquets and other accessories. And the “Not Quite a Bag” accessories. If you are not wearing your shoes to practice, and your tennis bag does not have a shoe compartment, you should consider a shoe bag. These bags are designed to contain any sweat smell. They also make it easier to find both shoes at the same time! 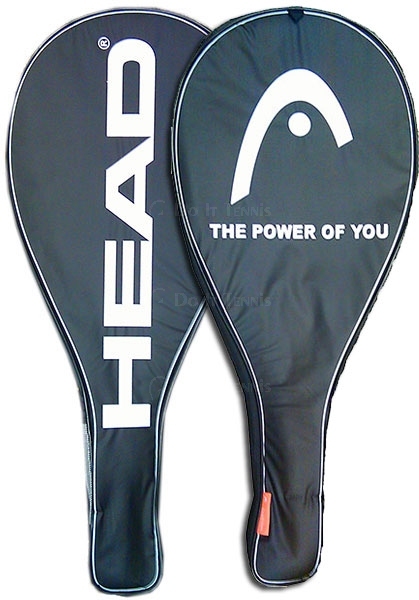 Racquet covers can offer added protection from scratches, dents and moisture from the environment or from condensation off your cold water bottle and a sweaty towel. Just like every other piece of tennis equipment you use, your tennis bag should fit you properly. When you are shopping for a tennis bag, try it on before you buy it. Put a few racquets and balls in them and throw them over your shoulder before you commit to one. You don’t want to find out later that a hard corner jabs you in the kidney or that the straps won’t let you adjust to a comfortable height. Once you have your list of what you want to carry in your bag and have decided what type of bag fits your needs, it’s time to go shopping. Because we care about you, we’ll share four tournament bags we think are among the best as well as a couple of backpacks we think are worth your money. The Babolat Club Line x3 Racquet holder is a lightweight, low-cost option for the casual tennis player. It holds up to three racquets and includes three outer compartments and a generous single large compartment. if you only carry one or two racquets, the interior compartment is large enough to hold a can or two of balls and a water bottle. The polyester covering looks thin, but is quite durable. Most users cited the price of the bag as a factor in their decision. The bag’s handle, shoulder pad and zipper all received positive comments. The Tour Team bags by Prince is larger all around than the top choice. It holds up to six racquets in two compartments and also has separate pockets for shoes and a cold water bottle. The compartments are very generous. 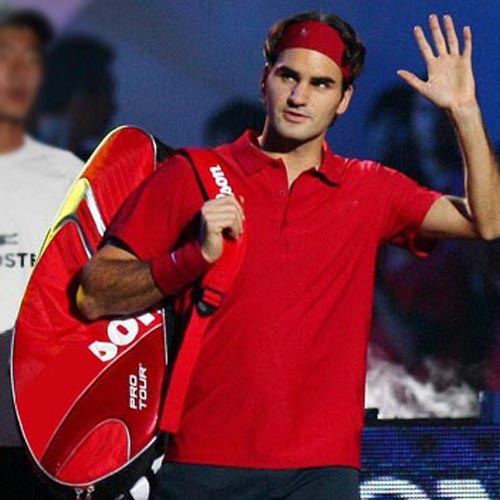 If you do not carry six racquets, the second compartment can be used for clothes and towels. The shoe and water compartments keep the racquets and other contents free from moisture and odor. The shoulder straps and handle are comfortable. The bag is durable and attractive, according to its fans. Wilson makes Team Two bags in various sizes, but we chose to highlight the three-racquet size here. This extremely lightweight (1.2 pounds) and spacious bag comes in electric colors as well as normal blues. With one large pocket for equipment and a small exterior pocket for personal items, this bag can handle the needs of most casual players. Main compartment holds two racquets, a towel, and two cans of balls with enough extra room for some other small accessories. Extremely durable, with good shoulder strap and handle. Nice design, “classy, not flashy”. Excellent value for the price point. 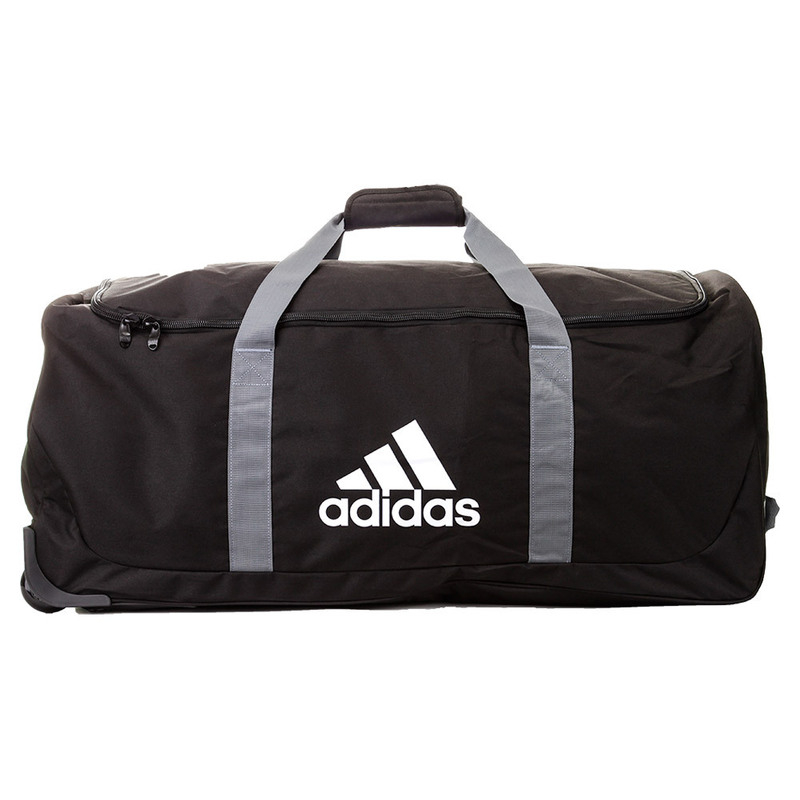 The Adidas barricade III bags offer a ventilated compartment separate from the racquet compartment to keep your things dry. It also has an outside compartment for personal items. The shoulder pads are ventilated for comfort and it comes with a padded handle as well. Players we spoke to liked the bag very much. Spacious enough to hold two racquets, along with clothes, balls, shoes, and more. Will fit a water bottle, but it needs to be leakproof to protect the other contents. Outside compartment expands and can fit some clothes or towel. Here’s a couple of good backpacks the players we know really like. We trust you’ll like them, too. The Babolat Pure Aero Backpack has a wide bottom to allow the bag to stand easily on its own. The large main compartment can handle two racquets while two ventilated pockets can handle most of your accessories. The secondary pockets can be accessed from the side or front. Another side accessory pocket can hold your personal items. Handles all my playing accessories. Zippers are strong and well-placed for easy access. Some questioned whether it was meant for two racquets. Ideal for one racquet players. The Wilson Sports Tour V is a spacious, lightweight backpack with separate shoe compartment. The company claims it can handle two racquets, as well as all your tennis accessories. 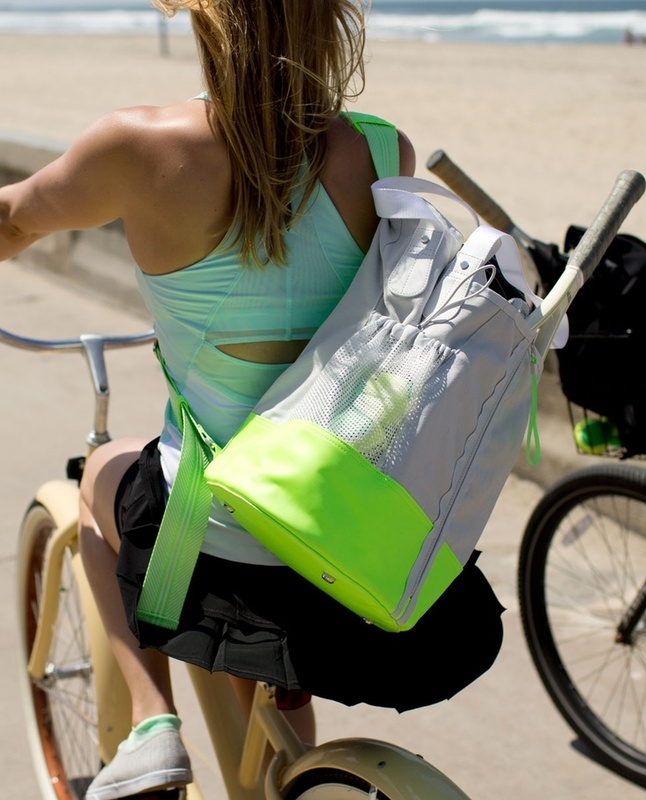 Shoes, towel, spare clothes, water bottle, sweat bands...this backpack handles it all. Comfortable feel, carries easy with comfortable straps. If carrying two racquets, they tend to rub. Should use a cover on one or both for that reason. So there you have some fine selections to choose from or enough information to make your own choice. You’re ready to go out and buy the bag that will make you look like the coolest player in town.